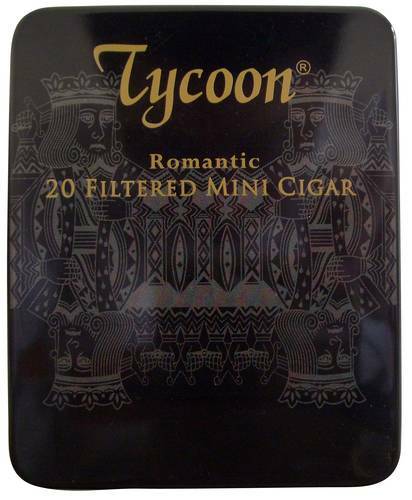 The Tycoon is packed in tin box of 20’s. The filler is made from fine cut cigar tobacco and blend of Deli, Java, & Latin America. Made Under Authority And Supervision of MAXIM Tobacco Co Ltd. London, England. This filtered cigar is a combination of high-tech and art creation. It gives mild and sweet taste with a good easy draws and very consistent burning which enables a perfection in appreciation of all of its flavours and aroma. These are a great size with a long lasting flavour! Sadly a little to coffee flavoured for me but it her than that fantastic!